In 1986 a Royal Commission appointed by the Lange Labour government introduced to a largely incredulous nation a strange new acronym – MMP. What followed was a decade of extraordinary angst, advocacy and activism surrounding the voting system, culminating in the first MMP general election in 1996. Now, 21 years on and with the eighth MMP election pending, proportional representation in New Zealand has ‘come of age’. When the Royal Commission published Towards a Better Democracy in 1986 most party élites still preferred to stick with traditional first-past-the-post (FPP) voting, and were confident that the public could be diverted from the Commission’s recommended path of radical electoral change. But political disillusion was running strongly within the electorate and the politicians had to respond. A referendum in 1992 confirmed a desire for ‘change’, with MMP as the stand-out choice. In a second referendum the following year, MMP again prevailed with 54% support in a head-to-head contest with FPP. The country was thus committed to its first MMP election in 1996. Yet the birth of MMP by no means guaranteed its survival. There was still significant opposition to the new system especially among National voters and the party’s corporate supporters; and the outcome of the first MMP election did not help. It resulted in a tense and ultimately destructive governing relationship between National and New Zealand First, followed by National’s ousting in 1999. These events nurtured gnawing doubts within the political right and among business interests about what proportional representation might mean for the effectiveness and stability of governments. Consequently, during National’s three terms in opposition after 1999, an urge to return to FPP festered within the party and its wider constituency. Back in government after 2008, John Key responded with the promise of a referendum in 2011 that offered the possibility of a return to FPP or of mutating MMP into the less proportional supplementary member (SM) system. But by 2011, Key’s successful MMP administration had quelled some of the antagonism to the new system within National. With less unease on the political right, and a continuing preference for MMP among Labour, Greens and Māori voters, a clear majority of 58% in the 2011 referendum favoured MMP. At last MMP was here to stay. Growing acceptance of MMP was grounded in experience. In the preceding decade both Labour-led and National-led administrations had provided reassurance that MMP is compatible with stable governments that could get things done. Moreover, as time went by more electors knew no other voting system than MMP. Those who remembered and might still yearn for the greater simplicity and adversarial thrust of FPP were an ageing and diminishing constituency. In addition to the reassurance offered by Clark’s and Key’s effective management of multi-party administrations, there was a growing appreciation of what MMP offered. The values of fairness and equity inherent in a system of proportional representation are now widely acknowledged. Also acclaimed are the greater ethnic and ideological diversity of MMP parliaments, and the potential under MMP for a better parliamentary gender balance. People also like the opportunity to vote separately for their local MP and their preferred party, if they so wish. For older voters there has been further reassurance in the continued electoral predominance of National and Labour. Proportional representation has not dissolved the long-standing two-party system into multi-party chaos; nor to any extent have minor party tails wagged major party dogs. Nevertheless, as predicted, MMP has let more small parties into parliament than FPP had allowed, and has given them greater roles in the functions of government and opposition. The two-party format of previous FPP general elections has widened into a two-bloc race under MMP, but with National and Labour still the familiar major competitors. In practice we are now a moderate multi-party system and that appeals to an habitually centrist electoral population. Remarkably, by 2012 suspicion of proportional representation had so faded that in the post-2011 election review of MMP the weight of submissions in favour of increasing proportionality persuaded the Electoral Commission to recommend slightly lowering the 5% party vote threshold for seats in parliament to 4%. Yet specific features of MMP still grate with the public. Opponents of MMP have always focussed on the novelty of list MPs. They are still an easy target, open to unjustified derision as obscure members with less to do than electorate MPs, and condemned as ‘unelected’ members chosen by party elites, rather than voters. No feature of MMP was more stridently condemned during the 2012 review than the ‘coat-tail’ provision giving a successful electorate candidate the potential to bring list MPs into parliament. 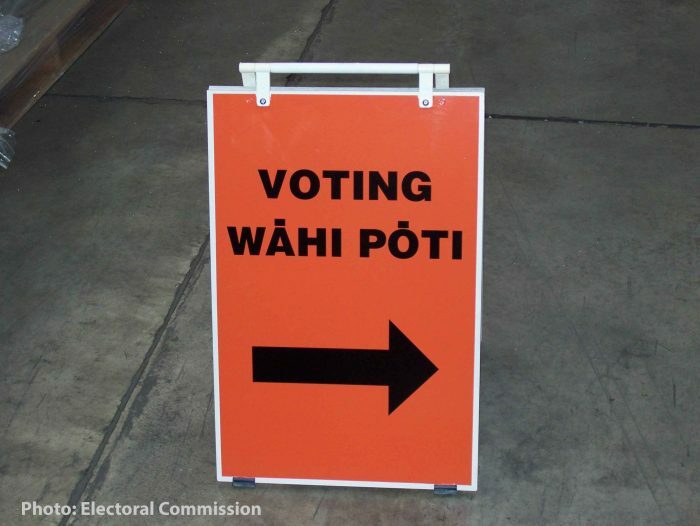 As a condition for reducing the 5% threshold to 4%, the Electoral Commission recommended abolishing the ‘coat-tail’ provision that is now popularly associated with the Epsom and Ōhāriu electorates. However, although disliked by voters, party strategists value the ‘coat-tail’ clause as a way of potentially increasing a friendly minor party’s presence in parliament. So the one-seat threshold remains and parties will use it strategically when they can, as is already evident in their preparations for the 2017 general election. MMP has changed the political landscape and practices in many often subtle ways, yet the big picture of the two-party system and its accompanying adversarial style of parliamentary politics remains, modified, however, by the role of smaller parties and the resulting need for more collaborative policy-making processes. MMP governments almost inevitably rest on a multi-party parliamentary base that in turn speaks for a majority or near-majority of voters of different party denominations. In the electoral arena bridges are now being built between parties in a manner unknown under FPP. Witness the strategic electoral accommodations between Labour and Greens, National and Act, and Māori and Mana parties, accompanied by a melding of their policy objectives. It has taken a generation for acceptance of MMP to diffuse across the political spectrum. In ‘coming of age’, MMP now presents as a workable and widely-admired electoral system, winning converts among formerly sceptical politicians, political commentators and the public. The process goes on: as we now attempt to understand the electoral forces behind Brexit and Trump there is room for a degree of self-satisfaction in the belief that the inclusive politics of proportional systems, by admitting minority voices into the more manageable parliamentary arena, may also curb outbreaks of populist protest and anti-establishment fury. One more step in the bedding down of MMP remains and that is for politicians to cease ducking the changes people called for in their submissions to the 2012 review. Though varying in detail, the submissions above all celebrated the fair and proportional nature of MMP. When filtered through the unbiased expertise of the Electoral Commission, they collectively emerged as a set of modest, do-able recommendations: abolish the one-seat threshold for proportional representation; lower the party vote threshold to 4%; consider future-proofing proportionality by fixing the list seats at 40% of the total. No action has been taken. Party interests have over-ridden popular preferences and the Commission’s judgment. The responsible ministers, first Judith Collins then Amy Adams, have justified inaction by referring to a lack of cross-party consensus. Yet there was no party consensus on the adoption of MMP in the first place. Rather, it arrived as a directive in a binding referendum that over-rode party interests. It is highly likely that the changes proposed by the Electoral Commission would also be endorsed by referendum. The government initiated the 2012 review, the process was exemplary, and the recommendations modest. The politicians should stop stalling. Peter Aimer retired as a senior lecturer in the Political Studies Department, University of Auckland. 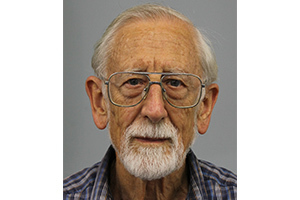 His main research and writing was with the New Zealand Election Studies programme (NZES), with its trademark post-election surveys from 1987 and through the transition to MMP. He was also active in the Auckland branch of the Electoral Reform Coalition, lobbying for MMP, having been converted to the merits of proportional representation during study leaves in Sweden and Norway. He made submissions to the Wallace Royal Commission in 1995 and subsequent reviews of MMP in 2001 and 2012.